Growth and maturation from late spring to summer. The duration of the genetic cycle will be 100 to 120 days after seeding. 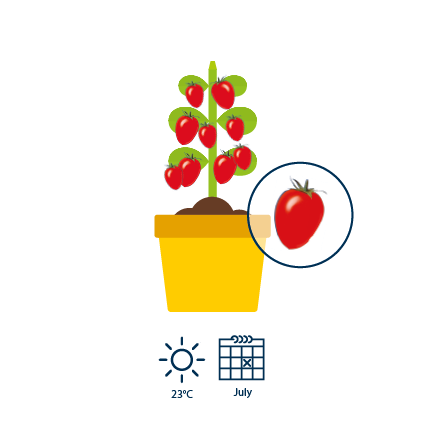 A tomato plant requires 400 mm of water, depending on the climate. 3 Yellow flowers appear on the plant at the end Of May. Fruiting begins 5 days later. 4 In June, the yellow flowers evolve and become green fruits, later turning reddish.